Lisa Cheney (b.1987) is an Australian composer of acoustic and acousmatic music, hailing from Queensland and now living in Melbourne. Her music communicates through varied styles which often explore notions of connection and authenticity through fascinations with the 'edge' of beauty; expression, poeticism, fragility, delicacy, resonant space, pacing, light and dark and atmospheric soundscapes. Cheney's work has been described as 'atmospheres of unfathomable spaciousness' (Partial Durations), 'melodic slivers with plaintive intensity' (The Australian) and 'fantastic and frightening in its detail and colour' (Resonate). Her body of work incorporates orchestra, chamber, voice, acousmatic collaborations, arrangements and works for theatre and ballet. Cheney has received several accolades, including grants from the Australia-Korea Foundation, the 2017 Art Music Fund, the Griffith University Owen Fletcher Postgraduate Award the Silver Harris and Jeff Peck Composition Prize. Her music has been commissioned and performed by The Southern Cross Soloists, The Australian Voices, Queensland Conservatorium Symphony Orchestra, Plexus, Syzygy, Sydney Antiphony, Melbourne Symphony Orchestra, Tasmanian Symphony Orchestra and the Australian Ballet amongst others. She has participated in, as a student and fellow, at the 2010 Atlantic Music Festival (Maine, USA), 2012 Australian Youth Orchestra National Music Camp, 2013 Brevard Music Centre Institute (North Carolina, USA), 2013 Melbourne Symphony Orchestra Cybec 21st Century Composers' Program, 2015 Tasmanian Symphony Orchestra's Composers' School, 2016 Yale Norfolk New Music Workshop (Connecticut, USA) and VIPA Festival and 2017 Academy (Valencia, Spain). Her work The Pool and the Star written as part of the MSO Cybec Program, was selected by the MSO for performance at the Metropolis New Music Festival under the baton of Finnish maestro Olli Mustonen. Cheney holds a Bachelor of Music in Composition and Master of Music from the Queensland Conservatorium of Music where she studied with Gerard Brophy and Dr. Gerardo Dirie respectively. 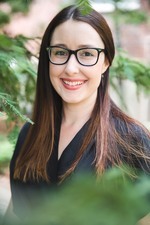 Her research into the early career experiences of female composers in Australia was supervised by Dr. Brydie-Leigh Bartleet. She is currently completing a PhD in Music at The University of Melbourne, supervised by Dr. Elliott Gyger and Dr. Katy Abbott-Kvasnica. Cheney's passion for championing new music can be seen in her role as co-founder of 'Making Waves' and an executive producer of the Making Conversation: Australian Composers' Podcast. In 2017 she was named the Victorian Young Achiever of the Year for the Arts. Thanks to the support of the APRA AMCOS Art Music Fund Award, she recently completed a new opera for children based on Edward Lear's nonsense poem, The Owl and the Pussycat which premiered at Festival 2018 at the Gold Coast Commonwealth Games. Lisa Cheney is available to consider commissions and collaborations. Additional score requests and personal contact can be made through e-mail (above). Miniature No. 1 : for percussion quintet (2018) Commissioned by Queensland Conservatorium of Music to launch their 2018 performance season. When we speak (cello with pre-recorded sound) (2016) Commissioned for the ‘This Will Be Our Reply’ 2016 International Women’s Day Concert. The Pool and the Star : for chamber orchestra (2014) Commissioned as part of the 2013 Cybec 21st Century Australian Composers’ Program. Drought : for solo soprano and SSAATTBB choir (2012) Commissioned by The Australian Voices.